Members from the Red and White Rose counties will join forces to oppose the levy increase at the 2018 NFYFC AGM. You only need to look at the raft of social media coming through from YFC members to see there is tension growing surrounding the proposed levy increase, a discussion that will take place this weekend at the annual young farmer’s AGM. 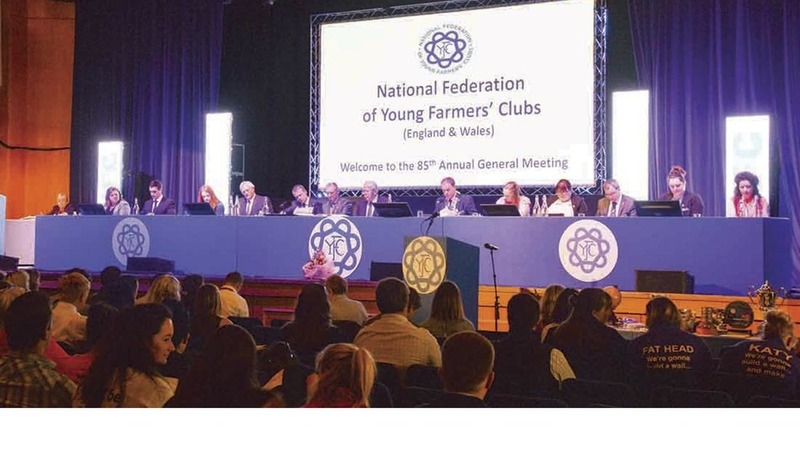 NFYFC have put forward a motion to increase the levy paid by individual clubs by thirty percent. Although there are many who are outraged by the idea, it has caused two old adversaries, Lancashire and Yorkshire, to put their traditional rivalry aside and enter the battle as one, their mission to find some sort of common ground. The idea is to propose a ten percent increase instead. Ed Bentley, chairman of Yorkshire’s YFC events, finance and general purposes committee said: “We are not against an increase in levy - YFC still offers excellent value for money - but thirty per cent is too much of an increase in one year." The controversial debate about subscriptions will take place in Blackpool on May 6, but Ed feels the federation needs to be thinking smaller in terms of financial longevity. “The national federation needs to be budgeting more longer term to ensure these steep jumps are not required. This peaks and troughs approach is not sustainable and doesn’t sit comfortably with our members. Chairman of Lancashire Federation of Young Farmers’ Clubs, Rachel Parker, said it was great to hear that Yorkshire was behind them. Follow Farmers Guardian for all the latest AGM coverage on Facebook, Twitter, Instagram and Snapchat.